Homemade Hamburger. My original recipe, invented back in college. Really easy to make. 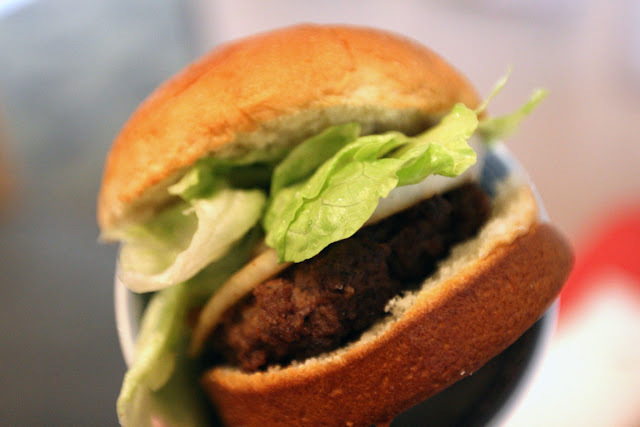 Ingredients: Moran's Ground Beef, Lettuce, Onions, Sandwich Buns, and Lawry's Seasoned Salt (or regular salt). 1. Shape ground beef into patty, fry with pan, don't add oil, sprinkle Lawry's salt. 2. Fry onion, don't add oil. Tips: If you happen to have George Foreman's Lean Meat Fat Grilling Machine, cook the beef patty and onions with it. It will be less fat.